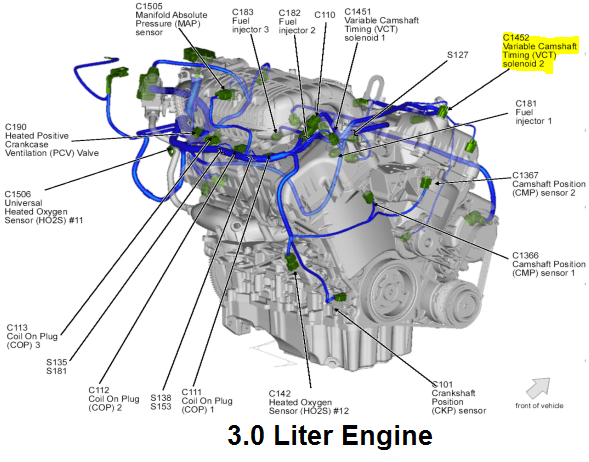 The powertrain control module (PCM) monitors the variable camshaft timing (VCT) position for a misalignment between the camshaft and crankshaft. The test fails when the misalignment is 1 tooth or greater. This DTC can also be set due to VCT system concerns (oil contamination or VCT solenoid stuck).